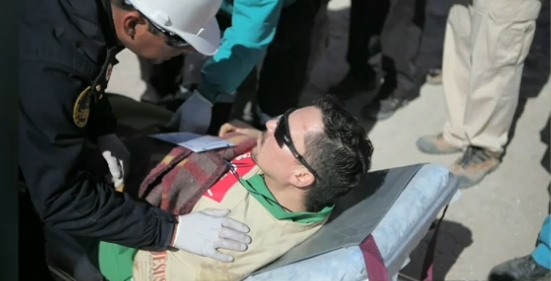 Rescued Chilean miner Edison Pena, the guy who was running 10Km every day while trapped in the mine, was in New York this week. 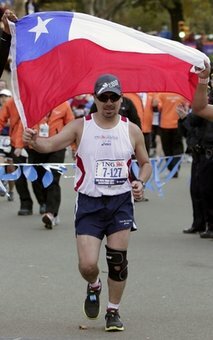 He was on the David Letterman show, singing Elvis, and had been invited to watch the NYC Marathon, then said he wanted to run it... And he did, completing it in just over 5 hours 40 minutes! Thanks to Seamus for the tip.